Please note that our primary language is French... so the English version can be funny sometimes. 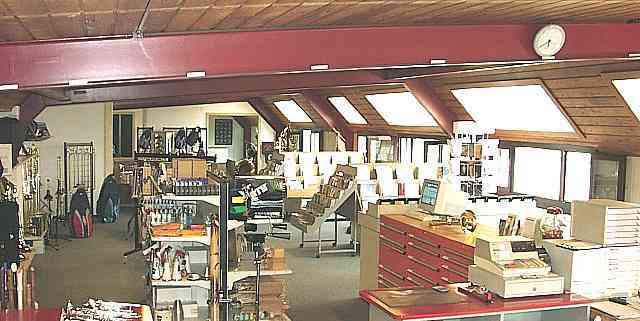 Top Music SA, a brass and wood wind instruments shop and workshop in a 300m2 store. We have a big choice on instruments, sheet music and accessories. You can have a look on our test room, where you can try and compare the instruments. Newar Montreux, between Vevey and St-Maurice, we are in the Villeneuve industrial area (Vaud canton - Switzerland), near of malls and leisures parks. The shop is near the highway exit, at 30 minutes from Lausanne or Martigny (see our access map). We are resseller for all major brands of wind and brass instruments, percussions and accessories. If you have any request, please contact us. Thousands of customers around the world trust us, why not you ?